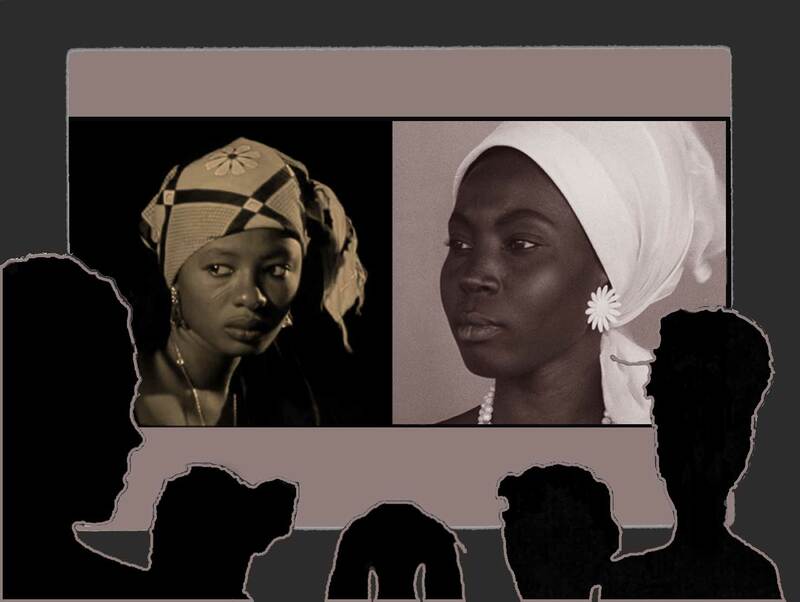 Tracing the history of actresses in African cinema, the two pioneers, Thérèse M’Bissine Diop of Senegal and Zalika Souley of Niger come to mind, both with debut performances in two African film classics released in 1966: La Noire de… by Ousmane Sembene and Le Retour d’un aventurier by Mustapha Alassane, respectively. Their careers and life paths have similarities but also stark differences. Thérèse M’Bissine Diop has appeared in one other African film since her debut in La Noire de…, Emitai, a film also by Sembene, made in 1971. Nonetheless, her standing as a pioneer continues to be immortalized, as La Noire de…, this classic Sembenian work, is the subject of endless studies. While Zalika Souley, the “bad girl” of early cinema of Niger starring in numerous films, is all but forgotten. During a conversation with her in 2004, I discovered that she lives very modestly in the United States. In contrast, my interview with Thérèse M’Bissine Diop in Paris in 1998, revealed a comfortable living where she pursues her passion, tapestry-making. In spite of her descent into anonymity, Souley was elected as the president of L’Association des Actrices Africaines/The Association of African Actresses, created in 1989, in recognition of the role she played in asserting the value of women in the world of African cinema. More recently in 2004, Rahmatou Keita also from Niger paid homage to Zalika Souley in her debut film documentary Al’lèèssi, an African Actress. In Al’lèèssi... Rahmatou Keita reveals the challenges that Zalika Souley had to confront in the 1960s; at a time when her controversial roles were viewed as contrary to the principles of a good Muslim woman. Al’lèèssi... juxtaposes the acts of a dutiful Muslim woman who shows abiding faith in God, to film excerpts of her diverse roles. However, at the time, both in her screen character and private life, Zalika Souley went against the societal conventions of womanhood. She walked about Niamey, the capital, wearing jeans, which still today is provocation for insults. In Oumarou Ganda’s 1970 film, Wazzou polygame, her character in a jealous rage, commits murder. In the 1973 film, Saitane also by Ganda, she is a woman gone astray. In the conservative environment of Niger, where people associated her screen character with reality, she was severely ostracized. Thérèse M’Bissine Diop notes a similar public hostility towards her in the 1960s. After the release of the film La Noire de…, she was shunned, even by her own mother. Diop eventually left Senegal and has lived in Paris since the 1970s. Despite the early negative public reception of African actresses, women continued to choose acting and have become increasingly accepted in their societies. While acting is rarely a viable career in Africa, women have nonetheless expressed satisfaction in contributing to the growth and visibility of African cinema. Several women, especially in West Africa, have become prominent, such as Naky Sy Savane of Cote d’Ivoire. Her roles include Nuit de la verité/The Night of Truth by Fanta Nacro and Moolaade by Ousmane Sembene, both released in 2004. In Moolaade, she had a supporting role as the griot, Sanata. In Nuit de la verité her character Edna is omnipresent as the wife of the president of the country and a grieving mother who becomes increasingly mad as she seeks revenge for the murder of her young son. Veteran actor Maïmouna Hélène Diarra from Mali who made her debut in theatre with the renowned Koteba, the National Theatre of Mali, had a prominent role in Moolaade, as Hadjatou Traoré, the first wife, alongside Collé, the formidable heroine, interpreted by ­­­Fatoumata Coulibaly. In addition to her role as actor, Coulibaly is also a producer for the national television of Mali as well as the director of two documentaries. This practice of playing multiple roles is prevalent among African cinema professionals. Burkinabé Georgette Paré, who recently starred in Nuit de la verité, as Soumari, the wife of the Commander of the opposition forces, is also the founder and president of Casting Sud, an organization whose objective is to be a network for actors. Naky Sy Savane also wears several hats. In 2005, she created the Afriki Djigui Theatri to promote African culture in Côte d’Ivoire. Actor Hanny Tchelley, also from Côte d’Ivoire, founded the International Festival of Short Films of Abdijan, which is celebrating its 10th year. In addition, she is producer of the 2002 series, Vies de Femmes--six, 26-minute films by six African women--about prominent women in West Africa. African actors have been also visible in Western films. In fact, pioneer filmmaker Saye Faye of Senegal, was an actor in the 1968 film Petit à Petit (Little by Little) by the late French ethnologist and filmmaker Jean Rouch. Cameroonian Lydia Ewandé, veteran stage actor, has worked with French filmmaker Sacha Guitry. French-based actors Felicité Wouassi, also from Cameroon and Mariam Kaba from Guinea have starred in a variety of European films. In the United States, Ghanaian, Akosua Busia debuted in Steven Spielberg’s 1985 film, The Color Purple; two years later in 1987, US-based Wabei Siyolwe of Zambia was part of the cast of Cry Freedom by Richard Attenborough. Siyolwe, also a stage actor, has since become a filmmaker, producer and communications specialist. Two young women who have enjoyed a great deal of popularity on both French and African screens are Senegalo-Malian Aïssa Maïga and Senegalese Fatou N’Diaye, both based in France. They portray the young modern Euro-African or Afro-European woman who navigates in both worlds; and as Europe becomes increasing multi-cultural it is eager to reflect this image on the screen.